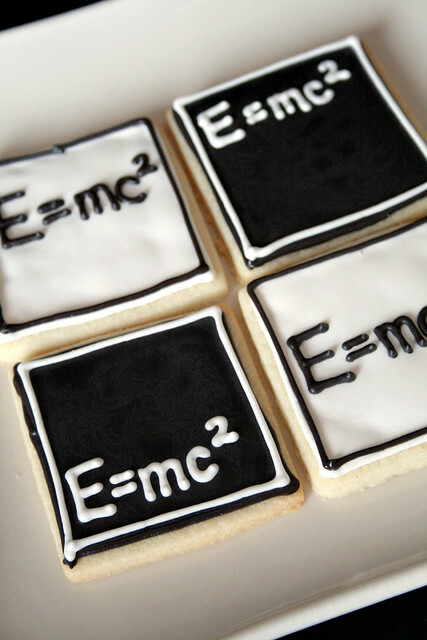 Today is, in addition to Pi Day, Albert Einstein’s birthday! 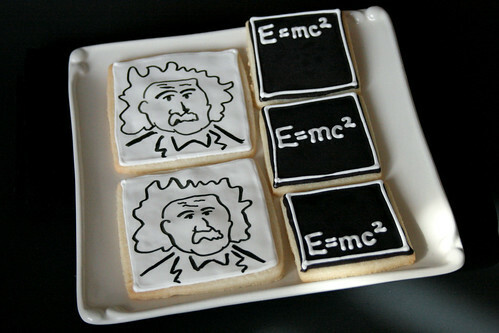 As such, I made a few cookies to celebrate the famous fellow, too. Tell me: what’s YOUR favorite Einstein quote? I saw your cookies over at Frosting for the Cause, so I had to stop by your site and see all of your cookies. They are just stunning! Hello and welcome, Jen! Thank you for your sweet words! How funny that you actually dressed up as Einstein! If you happen to unearth a picture in the future, you be sure to let me know.